M.E. Pearson’s STUCO sponsored “Healthy Kids,” a project to demonstrate ways to be healthy. 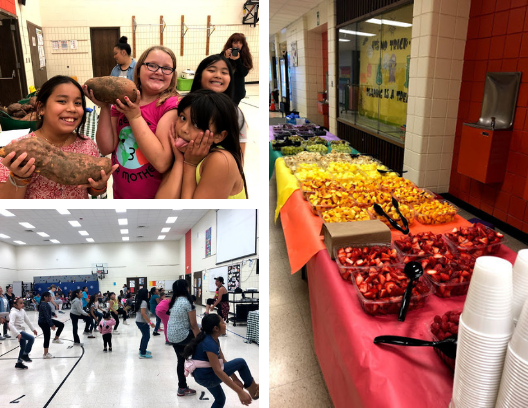 Sunfresh, one of the school’s business partners, provided strawberries for one of the snacks and students engaged in exercise and other activities to promote a healthy lifestyle.